Comodo IceDragon can save the information you enter into order forms and login screens. When you visit the same form in future, just click on a blank field to see all the entries you made previously. You can remove auto-fill from specific pages or fields while keeping it active on others. This can be useful on shared computers. Visit the webpage from which you want to remove saved form entries. Click on a field that has auto-fill suggestions. All previous entries will be displayed in a drop-down. Use the up and down arrows on your keyboard to highlight the entry you want to remove and press 'Delete'. Repeat the process if you need to delete multiple entries. 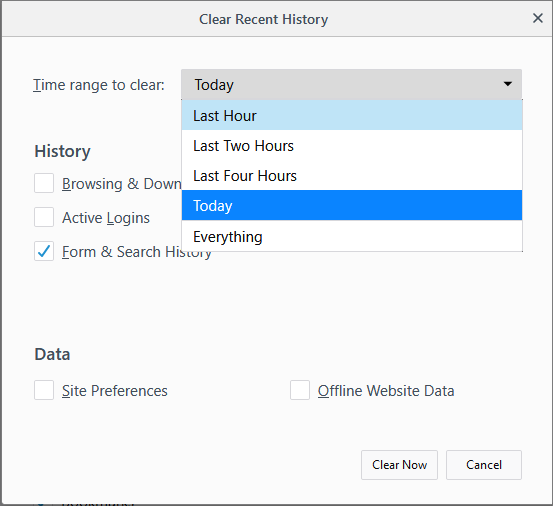 Select or deselect 'Remember search and form history' as required.